I recently opened a tin of Two Friends- English Chocolate. I noticed that it was ribbon cut. The aroma was fresh and woody, with a mild hint of smooth sweetness. The smoke was incredible! It was robust and powerfully tasteful. 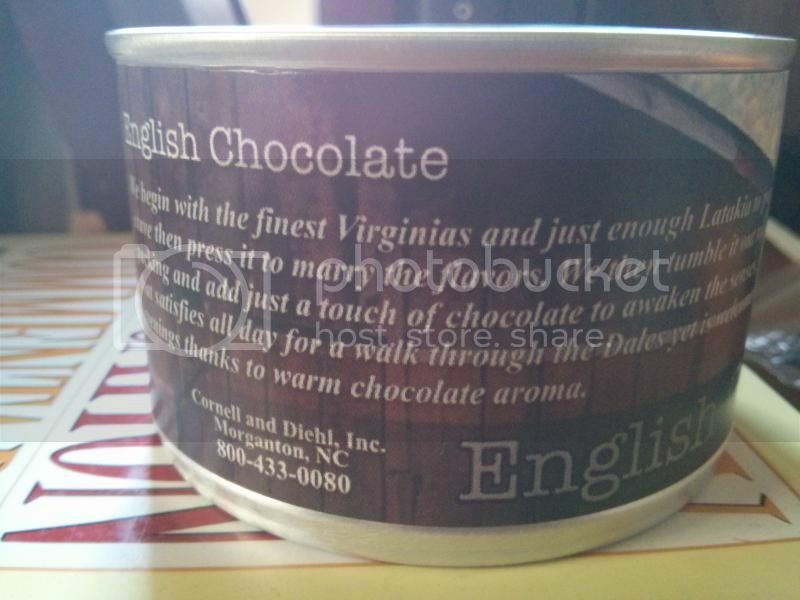 I definitely tasted the Virginia blends and a hint of chocolate-ness there, but not pronounced. The "nic hit" was definitely there after two fairly large bowls. Overall I would give this blend an 8 on a scale of 1-10. 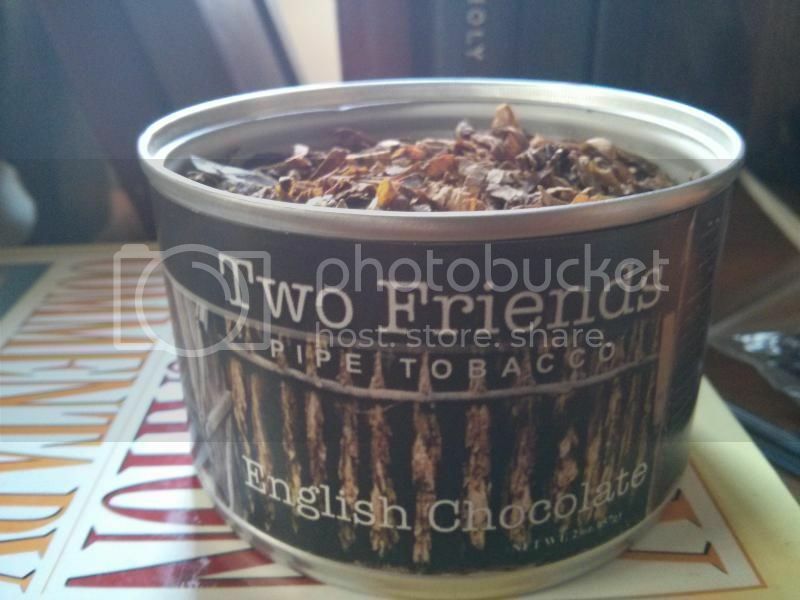 I recently discovered that Mars Cigars and Pipes carries Two Friends English Chocolate in 8oz tins as well as 1lb bulk. Has anyone ever purchased from them? I believe they are out of Pennsylvania. Scottso wrote: I recently discovered that Mars Cigars and Pipes carries Two Friends English Chocolate in 8oz tins as well as 1lb bulk. Has anyone ever purchased from them? I believe they are out of Pennsylvania. This blend is absolutely wonderful. I had a tin gifted to me last year during Secret Santa (thank you so very much) and it was marvelous. It was a subtle aromatic but I imagine it ages quite well (being Virginia and all). Anyway, I still have a little left and ordered an extra tin a while back to age a bit. I'm surprised it doesn't get more mention here. I had no idea they sold the 8 oz tins...Actually, though, I think they do the bags, no? I wish I would have known when I was ordering as I would have placed an order there. $26 for 8 ounces is a steal nowadays. I had two tins on hand so did not order from Mars yet but their website says they have 4, 8 and 16oz tins for sale. Bag or tin, I will try them next time I order. Yeah I talk up mars all the time. I think he has the best prices, great service. He's a small shop, and he doesn't get the latest and greatest in as quick as the big houses. But you email him and request stuff, he'll get it for you if he can. Down side right now is that he got skewered by the credit card thing like JFH did. And where JFH fixed it quick, Mike is still in the "checks only" mode. That was the reason I did not try him on my last order as I had a VISA gift card and Mars could not take credit cards. Checks only is tough at Christmas time. Still would like to try him though. This blend seems to intrigue me even though I'm not big on English blends. I think it's the fact that I'm not big on Lakelands but have been interested in the Chocolate flake offered by both G&H and SG. Maybe because this ultimately is made by C&D it would be a better fit for me. I go to my see my brother in the Atlanta area every few months, and this time the tin I took to try was the English Chocolate. Wonderful stuff. My brother loved it as well. Reminds me a lot of Black Frigate, which I also love. 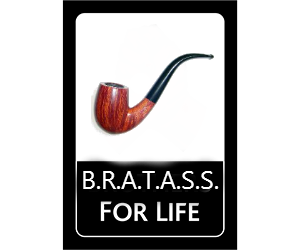 I'm not buying a whole lot of tobacco these days (already have several years of stuff waiting to try) but I think I need to buy several large tins of this for my "cellar". Just popped a tin of English Chocolate from 2010. Absolutely great stuff. Contains one of my favorite types of cuts, broken flake. Here are some photos of the fresh tin for your enjoyment. 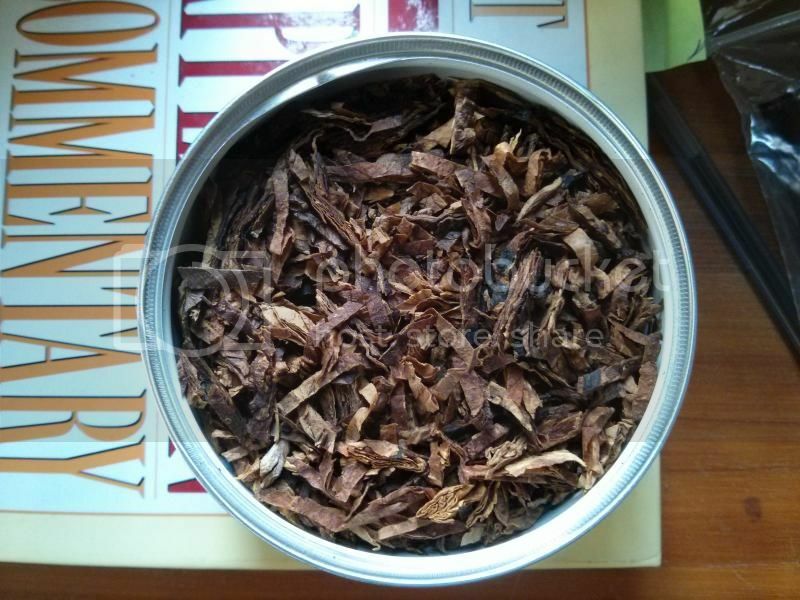 I was a purist for a long time and eschewed topped blends; but now I'm somewhat more adventurous and have been smoking GH Louisiana Flake, which is also topped with chocolate. I like it but wish they had put more into the blend, which tastes to me more like an all-day smoke than a premium tobacco. 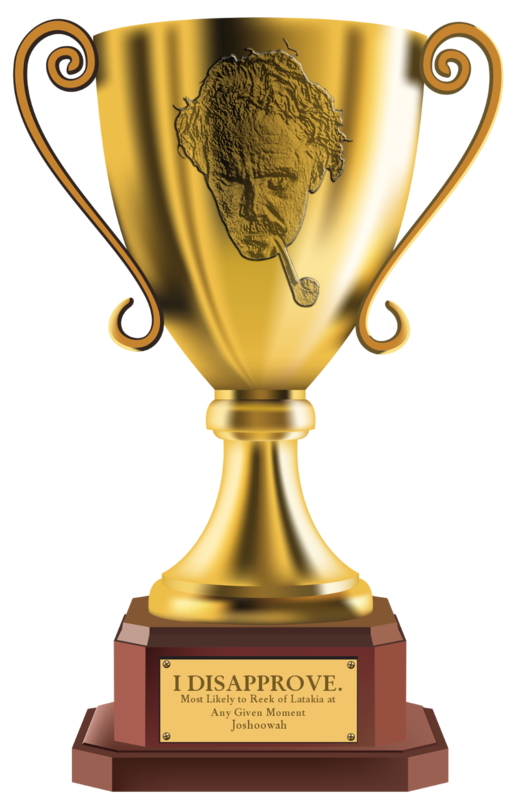 4nogginsmike wrote: I was a purist for a long time and eschewed topped blends; but now I'm somewhat more adventurous and have been smoking GH Louisiana Flake, which is also topped with chocolate. I like it but wish they had put more into the blend, which tastes to me more like an all-day smoke than a premium tobacco. English Chocolate is more of an English than anything else. The chocolate in it is minuscule, but when you pop a tin, boy, does it smell divine. 1. I have been enjoying this blend quite a bit lately. 2. mars cigars ships to APO's. The Tobacco Fairy has used them in this capacity. If you have some TF hankering to send a treat to an overseas service member well, mars cigar is your friend. I have 2 tins of is it Samuel Gawith or Gawith Hoggarth Bob's Chocolate Flake in my cellar not to waste so, though this blend sounds good, it'll have to wait until I smoke what I have. Can I pick my friend’s nose? I had this stuff back in 2012 and very much enjoyed it then, it tastes different than I remember, but still it’s good. Yes. This. The cut is different too. No longer neato stalks of moist crumble cake. I still like it a lot but, it has changed quite a bit.